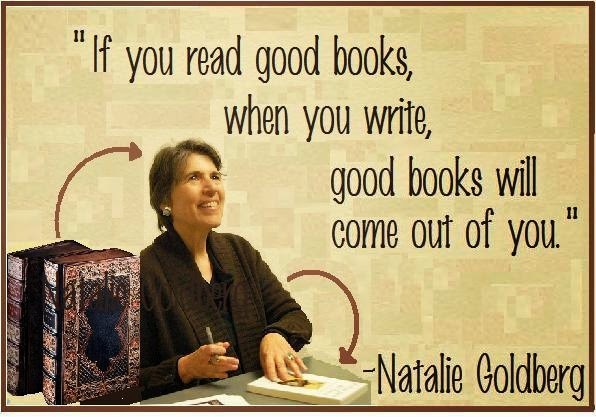 If you have never read (or heard of) Natalie Goldberg, then I encourage you to check out her books. She writes brilliantly on the topic of creativity and poetry-writing. I would recommend that any aspiring writer of the poetic or creative genre check out her works. My favorites include Writing Down the Bones and Wild Mind. I also own The Essential Writer's Notebook, though that is more of a journal writing/writing prompt book and is beautifully illustrated. 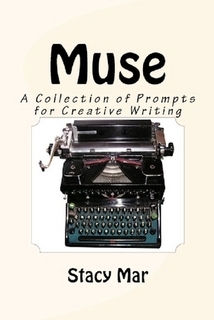 If you are new to journal writing and prompt writing, this would be a great starting point! The encouraging and 'out of the box' writing advice of Goldberg has become a mainstay in my poetry-writing. And when I falter (with self doubt or writer's block) I need only flip one of her books open to refresh my faith in the writing process as an individual (yet collective) experience. Below are twenty-five excellence pieces of advice I have derived from her work over the years. 1. Use a structure, but make the writing your own. 2. We already have our own writing style, we need only to pay attention. Simply digest your experiences, then write about them. 3. Writing practice is fundamental. It gives us the experience we need and the background of basic writing skills we can build upon. 4. Timed ten-minute writings are a great way to practice and hone your writing skills. 5. Some of our best work can be written from our quiet place. The place that is connected to our life and breath. Write slowly, evenly, measured, from a place of truth. 6. Lose control. Allow your 'wild mind' to take over. Allow everything to run through you, and then write about it. 7. All our writing originates from memory, imagination, thought, and words. 8. An excellent rule of writing practice is 'don't think.' You want to get below everyday thoughts, to the flesh of things. 9. You must be well-read in order to write well. "If you write without ever reading other authors, you are writing in a vacuum." 10. Writing is elemental. Once you have tasted it, it becomes as essential as water. 11. If you really are serious about writing, there is no excuse not to. You have to make the time NOW, if only for ten minutes at a time. 12. If there are things you want to write about, jot them down before you lose the thought. 13. "Be where you are. The best writing comes from that." 14. Keep a list of topics that you would like to write about. 15. Keep all your writing in a bound notebook. This keeps all the writing in the same place. When one notebook is complete, begin another. They need not be fancy, just a simple wire-bound or composition notebook will do. 16. Write the truth. Don't be afraid. 18. Writing is an act of discovery. 19. Accept your mind and write about what is there. Doing so is liberating, free. 20. "If you want to write, you have to be willing to be disturbed." Write what disturbs you, what you fear, what you haven't been willing to speak about yet. 21. In the middle of a writing session that is going nowhere, in the middle of a sentence, write: "What I really want to say..." and go from there. 22. To write is to become intimate with everything. 23. Don't become so controlled by an idea that you lose your original inspiration. 24. Get out of your house. Get out of your mind. Be illogical. 25. 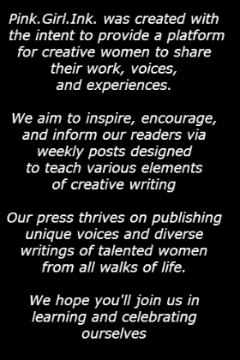 "We are not our writing. Our writing is a moment moving through us."